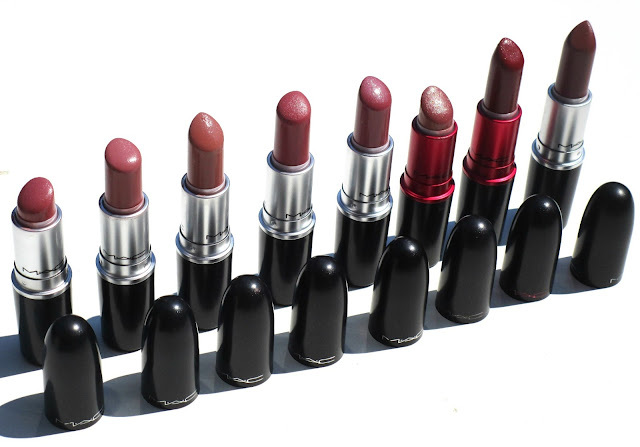 MAC lipsticks are my favourite things to collect! 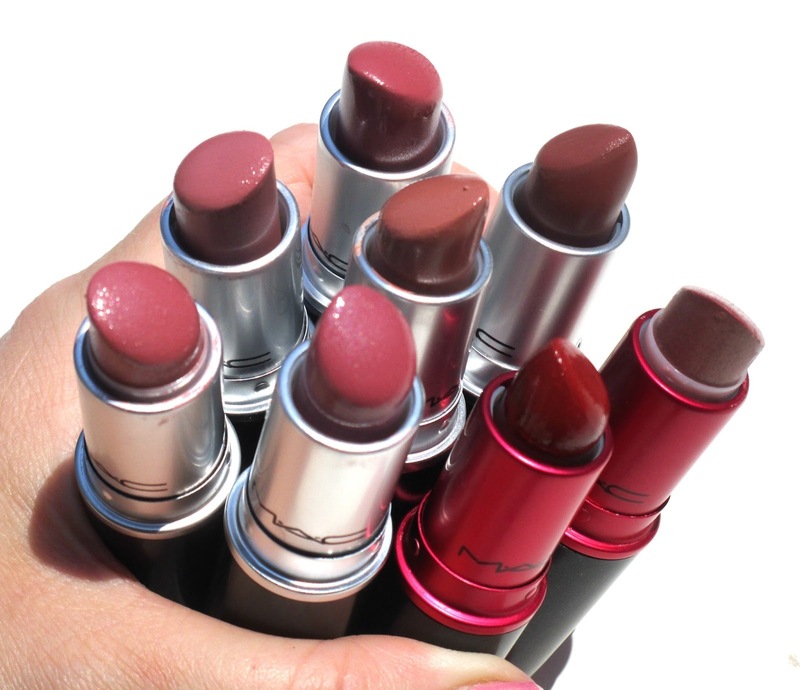 I have over 10 MAC lipsticks, but I always want more. My all time favourite is Velvet Teddy, but I'm also obsessed with Brick o La at the moment! Mac Twig is one of my favourites, I think you might like it as it's similar to some in your collection. I also love Russian Red and Dare you! I really want Velvet Teddy or Brave, gotta save up! 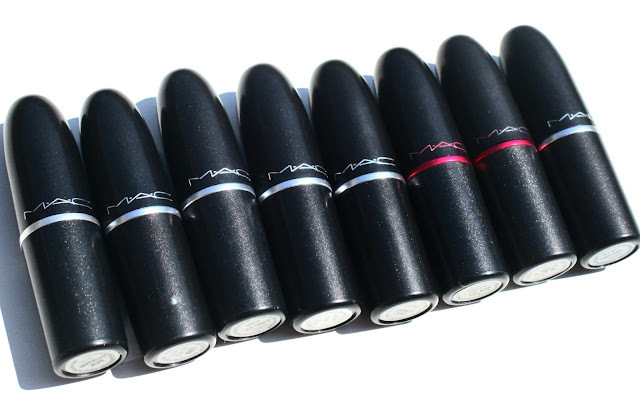 Viva Glam V reminds me of Mac Patiserie but I really love the look of Viva Glam 1 it really is a statement shade to wear. 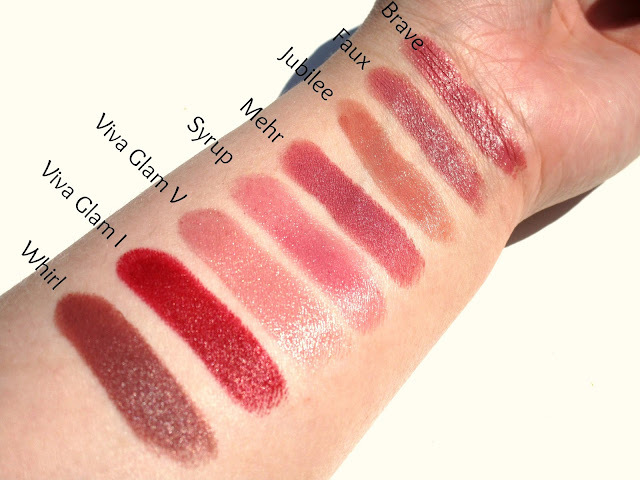 I think I'll have to swatch Mehr as that looks beautiful. 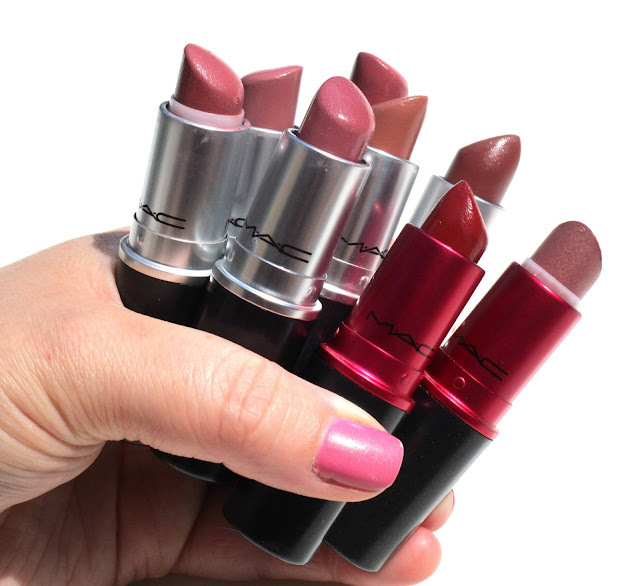 Don't worry, I own 6 MAC lippies and always dream of owning more - and all my friends tell me that I already own enough, haha!